Magic now has carpet cleaners providing Merton carpet cleaning services in all the SW areas in South West London. Our Merton carpet cleaners now cover all the SW area in London and provide carpet cleaning services in Merton even on short notice. We now provide Merton carpet cleaning to all the SW post code, South West London, as we have done for the past ten years in the area. Our Merton carpet cleaners and technicians are now fully insured, fully qualified and fully trained to our industry’s standards and they can guarantee an outstanding level of quality on their every day work. 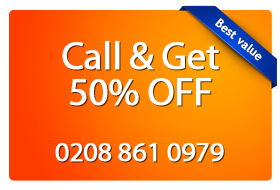 Call us on 0208 861 0979 and get a free no obligation quote or simply fill the form below and schedule service. Also, we now only use eco-friendly carpet cleaning chemicals and the latest carpet cleaning machines and equipment, leaving your carpets at your Merton property looking as new, refreshed and smelling better than ever. Also, we employ only the best two techniques available today in the carpet cleaning industry: dry carpet cleaning and steam carpet cleaning which returns the best results in the shortest time possible. Furthermore, our Merton carpet cleaners now provide additional services such as: upholstery cleaning, stains removal and rug cleaning, at the same level of unmatchable quality. Our Merton carpet cleaning services are of such outstanding quality that we also offer a satisfaction guarantee, meaning that if you’re not happy with the service, we’ll re-clean the carpets at your property in Merton, for free. So give Magic London Carpet Cleaning a call on 0208 861 0979 for amazing Merton carpet cleaning services and our carpet cleaners and technicians in the SW area will also give you a free no obligation quote and free carpet cleaning advice over the phone!